A common question that people write and ask us is whether can you make money in direct sales? It’s a good question, as nowadays you can literally sell anything via direct sales. It is a thriving multi-billion dollar industry. What do you mean by Direct Sales? Direct Sales, or DS, simply means offering and selling of products directly to a customer away from a fixed retail location. Direct sales can be done through independent companies that sell products or services. Alternately, you can create your own product or service and have others work for you through direct selling. Direct selling has been around for many years, even though many people did not consider direct selling a good way to make extra money. The early form of direct sales was peddling! Good examples of direct selling companies include Avon and Mary Kay. These independent companies have worked with women for many years to sell make- up products to clients all over the country. Many people became businessmen and businesswomen due to the high prices of products and the decrease in the job market. Accordingly, direct sales have been become very beneficial to those who want to work for themselves. How does one start or become involved in direct sales? Direct selling, as we know is the presentation of products to a group of people within the home, social organizations, etc. You may have gone to a jewelry party and would have wondered how people get started with direct sales. If you become a direct seller for a company, they usually provide the products and training for a small fee. You then earn your enrollment fee plus commissions after you have hosted a successful party. Other companies will just let workers try the products out for free, and after they have hosted a party, these people will then have the option to purchase a sample set for displaying at parties. It is best to do your research and find the right niche that you can sell products for and make a good profit. Some companies that do very well with direct sales include weight loss products, jewelry, and cosmetics. With the weight loss craze, many people are trying as many products as they can in order to lose weight. If you become a direct seller for weight loss products, you have to narrow down the group of people that you may target because there is a lot of competition when it comes to this area of selling. When it comes to selling jewelry, women in particular love to host parties and sell products. This happens a lot because women love jewelry, and if it is affordable, they are more likely to buy it. Women also like cosmetics as well, so they can buy this wonderful make-up at low prices that fit their budget. This cause a lot of women to stay at home and buy cosmetics, instead of going to the store and spending hundreds of dollars on cosmetics each year. Direct sales and direct selling is one of the most lucrative businesses around. You can host small parties starting a home if you are not a social butterfly. Once your Direct Sales business begins to grow, you can have your family members to even help you sell products as well. Most direct sales firms are multilevel marketing companies, or MLMs. And, as you know, when you work for an MLM, you’re compensated for your own product sales as well as the sales of your recruits and your recruits’ recruits. Can You Make Money In Direct Sales? 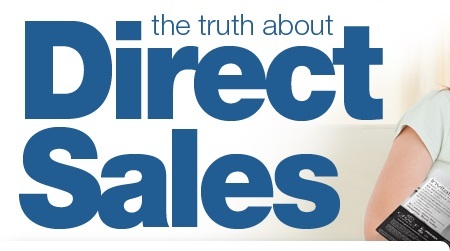 Most people who go into direct sales are not as successful, and some are not cut out for it. Perhaps the biggest misconception is that you can get rich in a matter of weeks or months without lifting a finger or selling anything. Nothing could be further from the truth. Establishing a circle of friends can help keep you motivated and feel less alone as a direct sales marketer. A group of friends can also open the door to partnerships and other opportunities. The number of Americans trying their hand at their own direct-sales business is on the rise, up nearly 6% from 2012 to 2013 to a total of 16.8 million people, according to the Direct Selling Association (DSA), a Washington, D.C.-based national trade association that represents direct-sales companies. 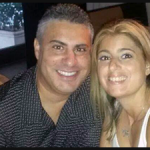 We know direct sales consultants who earn anywhere between $200 to $10,000 per month. Of course, this depends on the types of products they sell, the hours they put in, and the number of personal recruits working on their behalf. Direct sales may not be for everyone, but people have become successful by following SOME OF OUR TECHNIQUES. We have more information on direct selling if you decide that direct selling may be the venture you want to join. If you subscribe to our newsletter, you will be able to avoid those speed bumps, by following directions. You will also come to know methods on how to market yourself, and how you can make money in direct sales.